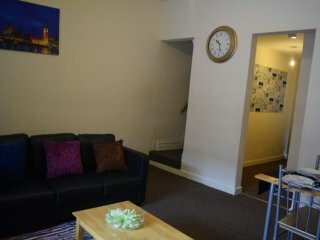 A large appartment with proper facilities, and located close to tram station with direct tram to Manchester centre. All is generally in good condition, although the bed matrasses are very soft and could be improved. Very well connected for visiting Manchester by either car or train with plenty of shops and amenities nearby. The house was itself was clean, spacious, comfortable and had everything we needed. Mrs Ranaa was very friendly when she showed us around. Couldn't get the tv to work (bit of a technophobe so it was probably fine but some instructions might be handy!). It wasn't a big issue for us as we were a group of 6 but it would be good to have more than 5 mugs given the house sleeps max 10. Overall a really great place to stay, thanks very much! 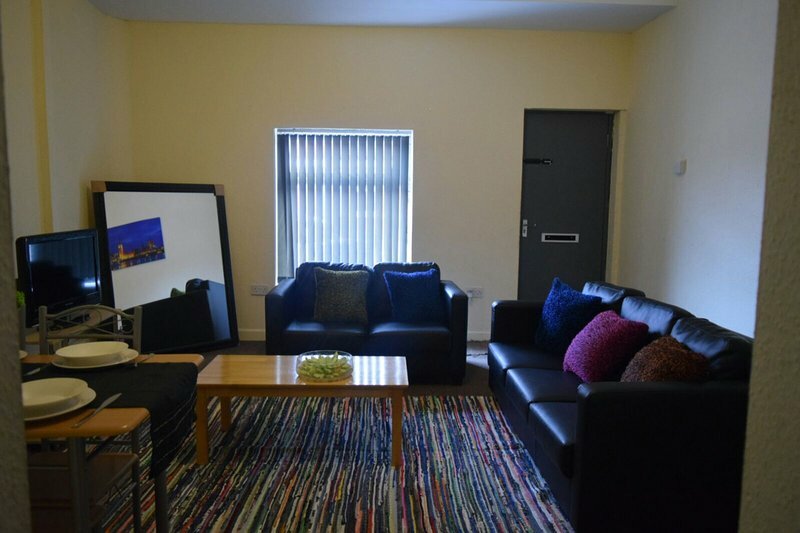 Looking for a place to stay in Manchester?